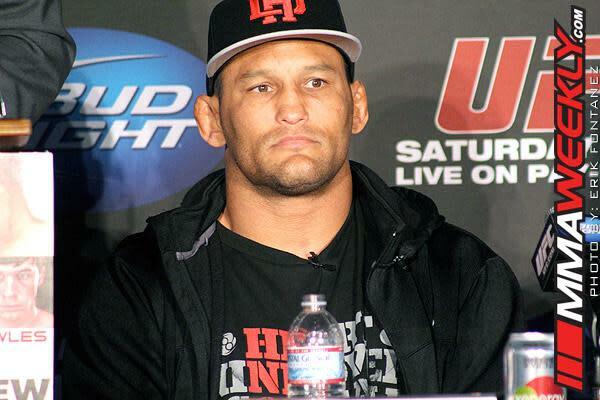 It's the news on one wants to hear just a week away from UFC 151, but Dan Henderson has been forced to withdraw from his main event challenge of champion Jon Jones. UFC president Dana White made the announcement on Thursday that Henderson would be unable to compete next weekend in his bid to win the UFC light heavyweight title. After several unsuccessful attempts secure a new opponent for Jones, the UFC unfortunately made the unprecedented move of canceling UFC 151 altogether. White said that one man, Chael Sonnen, agreed to take the fight, but Jones said he would not fight Sonnen on eight days notice. “This fight is cancelled. It will be Jon Jones vs. Lyoto Machida on Sept. 22 in Toronto on the UFC 152 Canada card,” White stated, clearly distraught by having to pull the plug on an event little more than a week out. This marks the first time in UFC history that the promotion has cancelled an event so close to fight time.